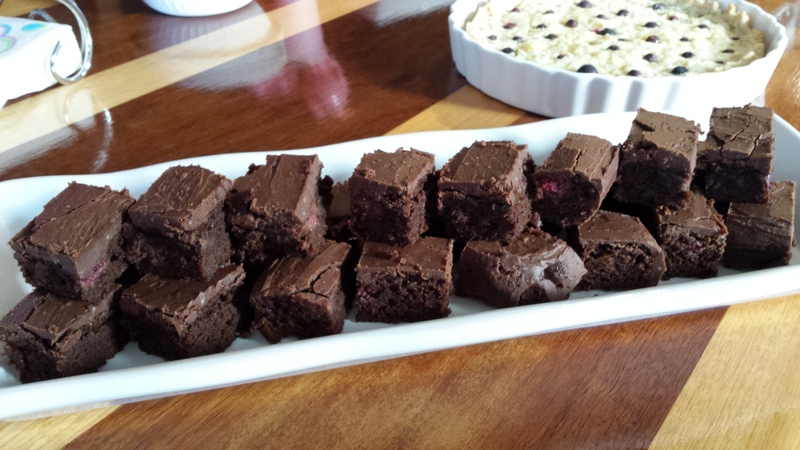 My mum makes phenomenal Chocolate Raspberry Brownies … as in Fancy Dinner Party quality brownies. Sadly for us, they are a no go zone as they are filled with all of your normal brownie ingredients. 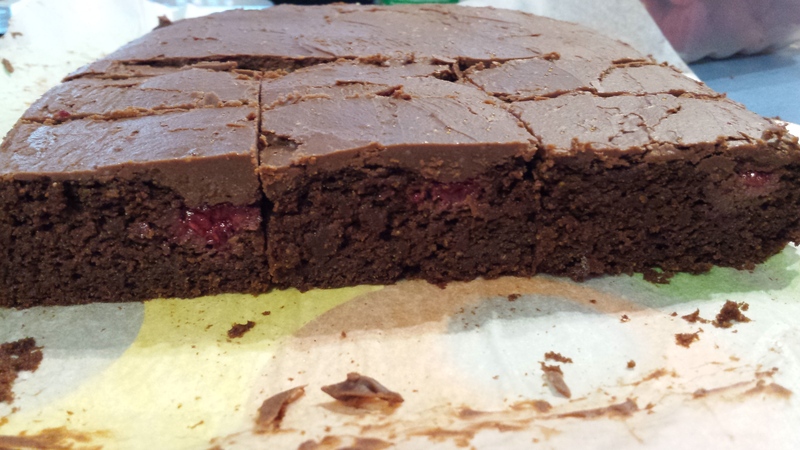 I have been experimenting to try and come up with a lovely sweet, dense brownie that reminds me of Mum’s, but is lower in sugar and fit our allergy needs. There have been a few rather unsuccessful attempts along the way, some that went straight in the bin (ahem …. sweet potato and quinoa … let’s not go there! ), but this one … well, this one is lovely!! Add in the Baking soda and powder, salt, cacao, coconut sugar and process again to combine (Speed 4, 10 seconds). Scrape down sides of bowl. Add in the buckwheat and half of the almond meal, process to combine and then add in remaining almond meal. Process until well combined and very smooth (Speed 5 for 10 seconds, scrape down, then repeat twice). 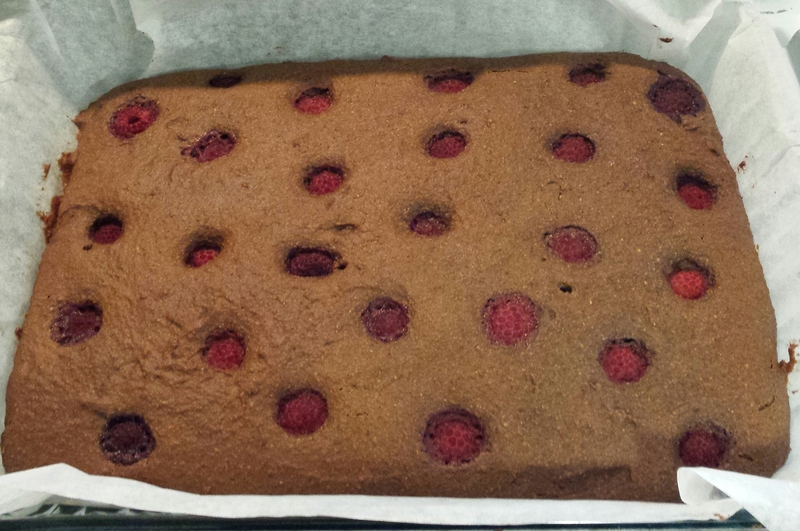 Pour into a large lined baking tray and press berries into the mix. Place in a preheated 180C oven and bake for about 30 minutes, or until an inserted skewer comes out just clean. You still want them to have a dense fudgey texture. These are yummy served warm and sprinkled with some pure icing sugar …. 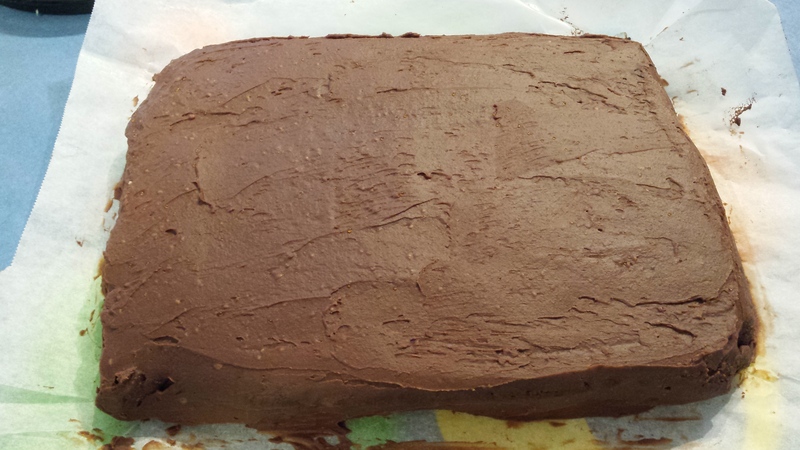 but if you’d like a more decadent version with chocolate icing, then read on! Roughly chop the cacao butter and place in mixing bowl. Process on Speed 8 for 20 seconds. Then melt gently (37C, Speed 2, 10 mins or until completely melted). Scrape down to ensure it is all melted. Add remaining chocolate ingredients and cook for 10 mins, 37C, speed 1. Mix on Speed 5 for 10 seconds. Add in the coconut cream and mix again on speed 5 for 10 seconds, scrape down, then add the milled Stevia, then a further 15 seconds on speed 5. 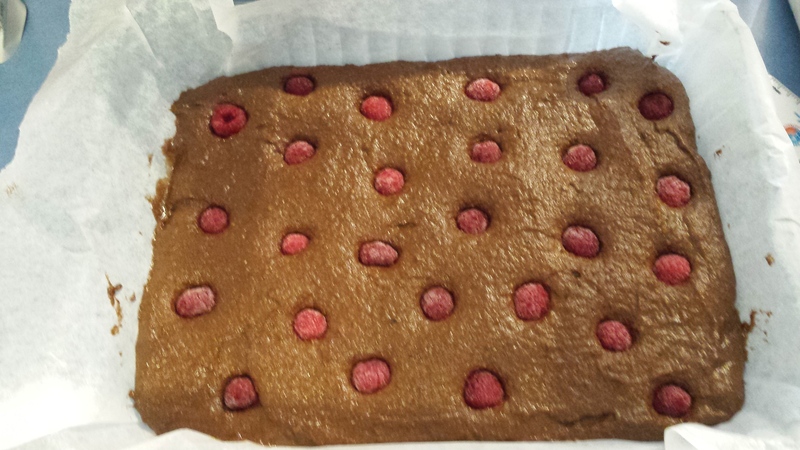 Allow icing mix to cool (and thicken) for about 15 minutes then spread on top of cooled brownie and place in fridge to set. Cut into slices and serve …. *I haven’t made a nut free version yet, but I suspect that you could replace the almond meal with sunflower seed meal. Given that the almond meal is such a large part of the batter, the taste would be quite altered – let me know if you give it a go! A little note on coconut oil: I have been using a bit more coconut oil lately…. however, neither Peter nor I like the taste of coconut much (or actually, at all). We’ve adapted to using the milk and cream in some things, but for some reason the flavour of the oil is just too overpowering for us. So we have been using the tasteless oil. I know that means it is more refined and has lost some of the health benefits of the raw oil but it still has some of the beneficial fatty acids that are special to coconut oil. We have opted for an organic, non-hydrogenated oil that uses a chemical free refining process. So if you are using a raw coconut oil in these recipes, you will notice a more coconutty taste – which you might love, but if you are like us, the tasteless version (if you choose it carefully) can be a great alternative! Hi Jenna, yes! Go ahead about do a straight swap. The mix I used was Bob’s Red Mill All purpose GF baking flour.